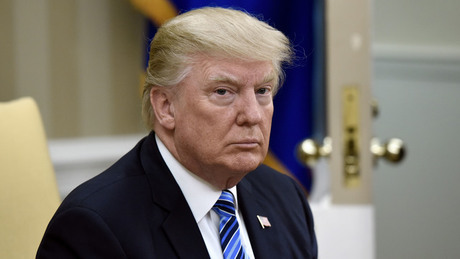 US President Donald Trump reversed course Thursday, claiming he and the American intelligence community are "in agreement" after branding them "naive" and in need of schooling the day before. He now alleges testimony by the country's top spies had been "distorted" by journalists -- one of his favorite targets. "Just concluded a great meeting with my Intel team in the Oval Office who told me that what they said on Tuesday at the Senate Hearing was mischaracterized by the media - and we are very much in agreement on Iran, ISIS, North Korea, etc.," Trump tweeted. "I would suggest you read the COMPLETE testimony from Tuesday," he added. On that day, before the Senate Intelligence Committee, the nation's top intelligence chiefs contradicted some of Trump's most fundamental foreign policy claims. In the hearing about global threats, the country's senior spies took issue with Trump's assertion that the Islamic State jihadist group has been defeated, and that North Korea can be convinced to forego its nuclear weapons. They also challenged Trump's claim that Tehran is actively seeking nuclear weapons, the justification the president gave for withdrawing last year from a multilateral treaty on Iran. And they underscored again that Russia meddled deeply on Trump's behalf in the 2016 presidential election -- which he has repeatedly denied -- and can be expected to do the same in 2020. Trump lashed out at the intelligence services in an unusually public row the day after the testimony, tweeting: "The Intelligence people seem to be extremely passive and naive when it comes to the dangers of Iran. They are wrong!" "Perhaps Intelligence should go back to school!" Trump also touted what he said were his successes in Syria, where he has alarmed allies by abruptly announcing a withdrawal of US troops assisting local forces against the Islamic State group, and in North Korea.